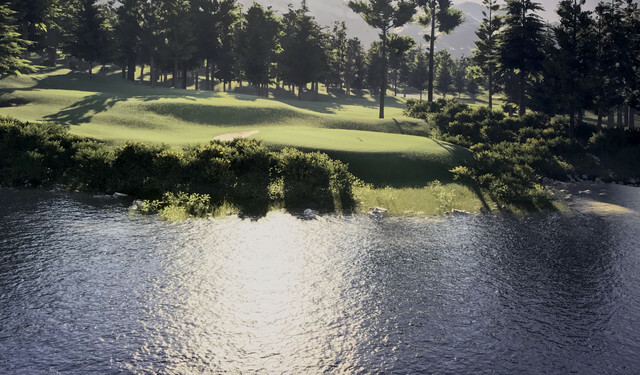 My new course Crystal Pines Golf & C.C has been published. It’s a Swiss theme which is a theme I always wanted to try. I wanted the course to more realistic so it doesn’t have any of those crazy nose bleeding elevations. Hopefully everyone enjoys their round. This is one of my favourite holes. Looking forward to giving this a go tonight. You sure are turning courses out quick. Not sure how long this took. I did have a week off from 2019. At the moment I prefer the designing side to actually playing rounds. I just think it’s amazing where you start in designner to the end product we end up with. I find it very relaxing too. I wanna re-upload! I thought I'd put "HERE" in the circle. Looks so much better there - Aaaarrrgghh. Cue arty tantrum!! Yeah you've come a long way in a short time. Well played! Was that played on default settings? ^^ Noon, light cloud - back tees. Thanks for the Sneak Peek Chelsea.... Glad you enjoyed it. I had a lot of fun making it. ^^ Y' welcome man. And speaking of said Peeks..
Another bespoke CGC beauty here from Daryl. This time it's a fun and frisky Par 3 romp to celebrate Valentines Day. And we'll be there on the big day, for two fun filled rounds in our Valentines Victory Vase. A stunning Casuals bespoke, brand new venue welcomes the CGC Thursday - as our celebration VVV events get underway. Come on down and join the Par 3 fun - you'll err.. LOVE it!! Played only my third Casuals event last night and have to say I enjoyed it, and I should be able to play every Wednesday now thanks to a change in my wife's shift pattern. There are two blind par 3s - 2nd and 5th - you need to see at least something whether it be pin, bunker in front of green or whatever to hit at. There are a couple of yellow slopes in the 3x3 box surrounding the pin in round 1 - 1st and 7th. The rough is very squiggly. I think you must have put the rough (splines) down then used the heavy rough brush. Putting the heavy rough over/under or right next to the rough causes the squiggly mess. Some of the crowd seemed randomly placed too for example a group of spectators only 170 yards or so from the tee. With a few tweaks, Havasu Falls would be a top class course. 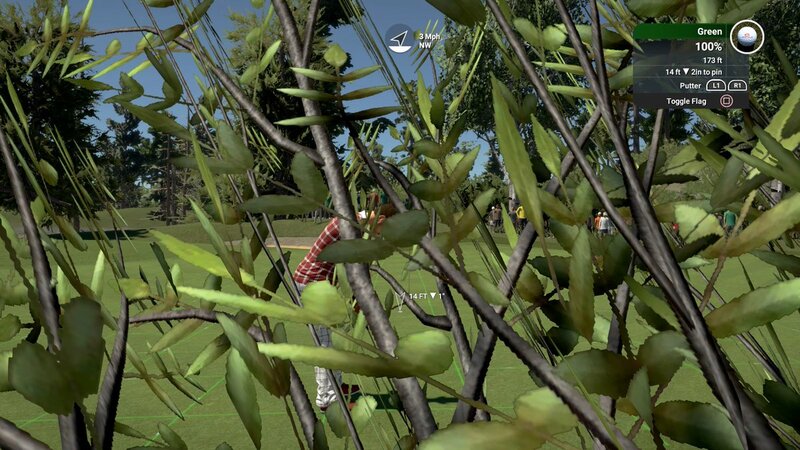 ^ to be fair to Enef, this was an older course that he's ported over to TGC2019. He's a very experienced designer that has turned out a lot more excellent courses since this one that didn't have any of the same issues you mentioned. I think the equivalent of this re-release would be like me re-releasing my first course (Black Bear Pass)... and as much as I liked it at the time, I cringe when I play it now. Some things are just better off left on the shelf in the closet. That's why I've never ported over my first course Clayton Wood. While in terms of layout I am very happy with it, I was a complete novice when it came to using the designer at the time and sculpting especially is very poor. If I did ever port it, I would have to do a lot of work to put it right.